ReplayCC is an innovative new reporting tool by Contact Dynamix designed to supplement existing Genesys Infomart reporting capabilities through point-in-time (PIT) insights and data visualisation. Our system takes PIT measures throughout the work day and uses them to highlight important areas of interest such as high call arrival rates, long wait times, low agent occupancy, and much more. Points of interest can be looked at in detail with our patent pending Replay technology that lets you monitor your contact centre as if you were traveling back in time. You can also share points of interest with other users for easy collaborative investigation. 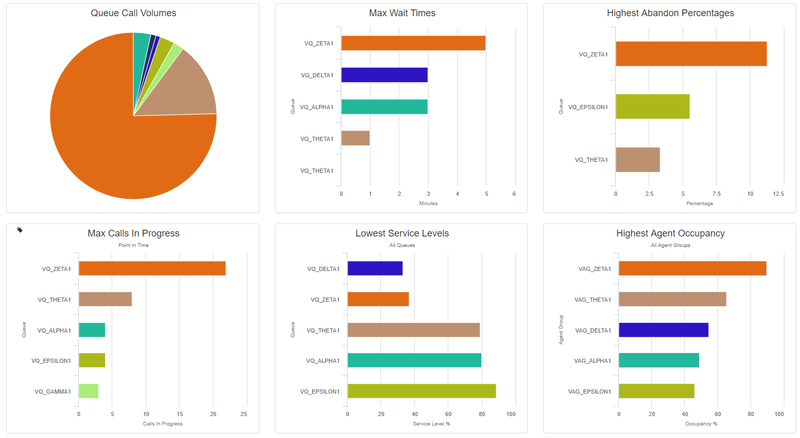 Overview reports provide key performance statistics organised by virtual queues or agent groups. We also single out individual calls that can be indicators for larger problems such as very high wait times, high transfer instances, long hold times, and more. Our drill-down dashboard lets you see how important stats change throughout the day for specific queues or agent groups. Our patent pending Replay technology uses data collected throughout the work day to show you a simulated monitoring dashboard at any time in the past. 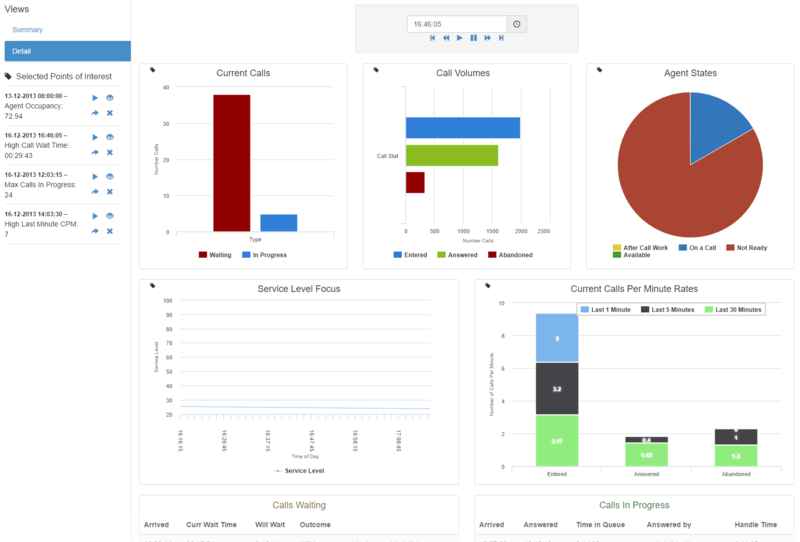 You can pause, fast forward, rewind, and replay detailed call centre activity in real-time. ReplayCC provides a suite of powerful data visualisation tools to let you find trends and patterns that are otherwise unapparent. The Hourly Matrix heatmap displays stats in a convenient colour coded table so that you can see where trouble spots might show up on a daily basis. Our network view of the call center maps a whole days call data in an elegant force directed graph. The graph shows you at a glance connections between various queues and agents made by call routing and transfers. The timeline view lets you track calls or agent states over time. You can drill down and see a precise map of any call in the database and get an immediate feel for the caller experience.